National Science Foundation. 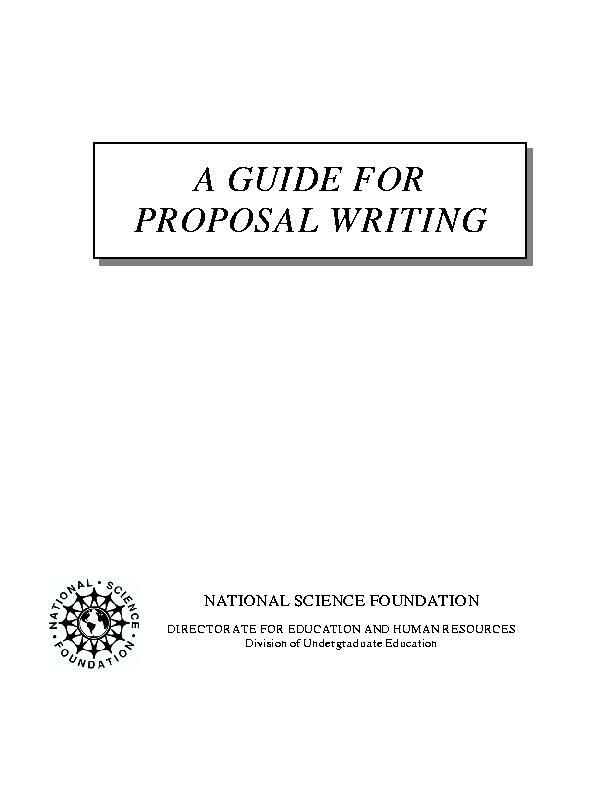 A Guide for Proposal Writing. Published online, February 2004. (pdf) (bibtex: NSF-2004-GPW). National Science Foundation. Grant Proposal Guide. Published online, NSF 04-2, October 2003. (pdf) (bibtex: NSF-2003-GPG).